Class D amplifiers, by ΚΔΠШΔR. 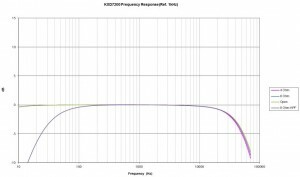 This following article is a very interesting introduction to the Class-D Amplifier Technology, prepared, written and published by Mr. ΚΔΠШΔR, and simultaneously reprinted with his kind permission on hiend-audio.com. 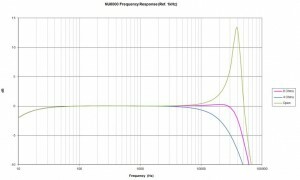 Can a Class-D Amplifier aspire into the Hiend-Audio domain? Read about this exciting technology, which remains vaguely understood and unaccepted by some of the hard-core Audiophiles. I think that everyone must have heard about “Class-D Amplifiers”, as they are making their presence felt in home audio. HT, Pro-audio, etc., in today’s environment. As a little primer, the “typical” amplifier classes are: Class-A, Class-B, Class-AB, Class-H & Class-G. All of these work in a linear fashion and have nothing to do with radio frequencies. Now let me talk a little bit about “Class-D”, in a simple format. Class-D is a class of amplifiers which fall under the category of switching power electronics. They are typically known as Pulse Width Modulation (PWM) amplifiers within the Industry. First of all, the “D” in the “Class-D” has nothing to do with ‘Digital’ technology. Class-D amplifiers work under the principle of PWM, in which a square wave, the so called carrier wave, is modulated by an audio signal. 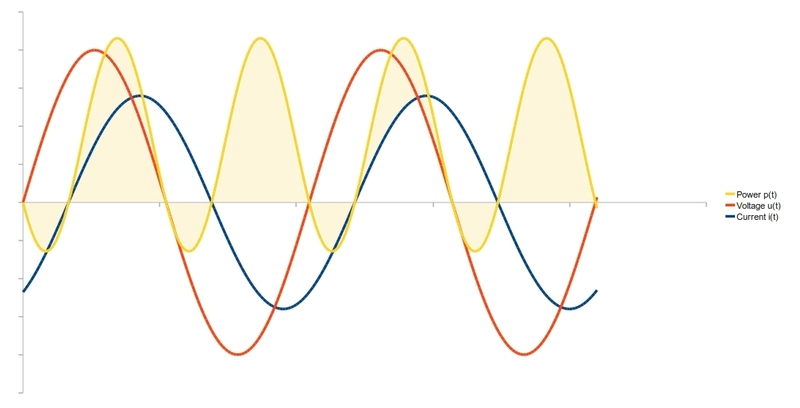 The amplitude of the square wave remains the same, but the width of the pulses within the square wave changes, as it gets modulated by the audio signal. The modulated square wave is then demodulated by a low pass filter, comprised of an inductor and capacitor, During demodulation, the HF components are filtered out, so as to retrieve the original audio signal, albeit in much amplified form, in order to drive the speaker. I will not go into the technical process here, nor it is needed here. 1. Digital Class-D amplifiers: In some amplifiers, the input is directly received in digital format from an audio processor, such as a direct PCM or PWM conversion, and then its fed to output switching stage. No intermediate analog conversion is hence needed. It is only at the output stage that the the final signal conversion takes place and the signal is converted into the analog domain. Due to the lack of any negative feedback, these amplifiers exhibit a ZERO PSRR (Power Supply Rejection Ratio), therefore they require an extremely well designed low noise power supply, so as to keep the signal to noise ratio at a satisfactory high level. Digital Class-D amplifiers are not much of a success because of a lack of error correction associated with the resultant output stage errors. 2. Analog Class-D amplifiers: In these amplifiers, the input is nothing more but an analog signal, which is compared to a triangle wave, used as a reference, and then the comparator converts the resultant signal into a PWM sequence, which is then fed into the output switches/mosfets in order to get an amplified version of square wave, which the goes into the demodulation filter and there, an analog output is obtained and is used to drive the speakers. Within this topology, the feedback signal is taken off from a point which is after the switching stage, but before the output inductor. This results in a varying HF response as a fuctcion of different load impedances. Such topology is the cheapest version of analog class-D amplifiers that are available on the market. ICE power Bang & Olufsen, IRF Class-D modules, Chinese clones based on IRS2092 are examples of such topology of class-D amplifiers. Not to forget Behringer I-nuke class-D amps, which also fall into this category. 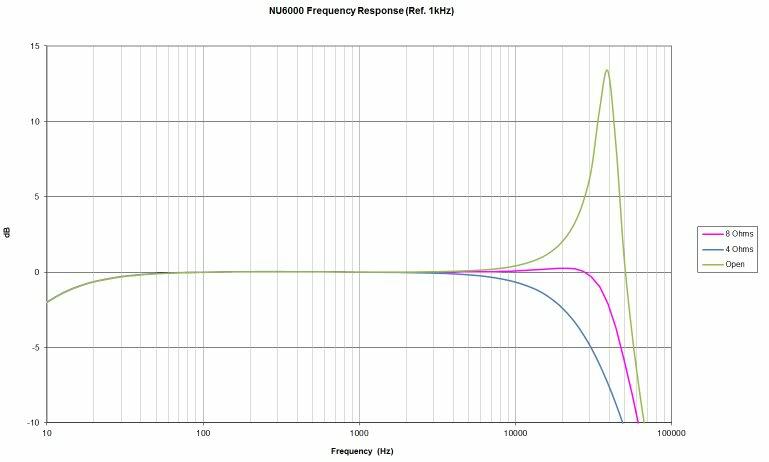 Since there is no means of correcting the response and the behavior of output filter in such amplifiers, the frequency response will vary greatly with the different values of load impedance and hence the resulting sonic degradation is very much audible. 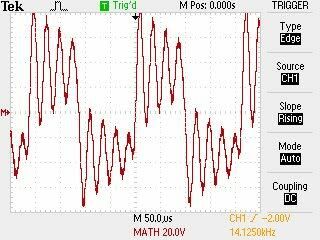 Along with this the poor damping factor also gives sloppy bass. This topology employs the feedback or error-correction mechanism by sensing the output at a point after the demodulation filter, which results in vastly superior performance. The load impedance has no effect on HF response, and it will remain stable and “flat as a ruler” with varying impedance loads. The damping factor is astonishingly high, and hence helps keep the woofer cone in perfect control. Since the deviation of the output filter response is taken into consideration and the output response is corrected actively, this topology enjoys superior sound quality. Zypher Class-D amps, Hypex modules are some of the examples of products which use the post filter feedback scheme to ensure vastly superior frequency response and a load independent behavior. 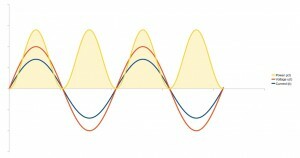 Being driven with a square wave, it is primarily the efficiency that is now very high, because the switches are either in a closed or an open position, so the only power dissipation is associated with resistive losses + switching losses of the switches, such as IGBTs/Mosfets, and their switching losses are negligible as compared to the output power that may be obtained. The power efficiency normally reaches 95% within Class-D amplifiers, as compared to typical values of 25% in Class-A or 50% in Class-B. A typical 100W class-D amplifier will waste only 7-8 watts of power in the form of heat dissipation. Hence, a lesser power supply capacity requirement. Better power utilization. When we talk about reactive load handling, this points us directly to the real world amplifier load, which is a loudspeaker, and its nature is reactive due to the presence of inductive/capacitive reactance of voice coil + passive XO components (provided its a passive speaker). 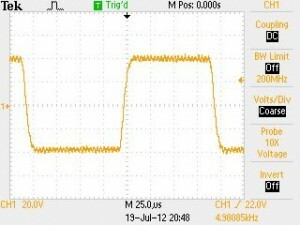 The voltage waveform no longer follows the current waveform or vice-versa. The voltage either leads or lags the current waveform. This type of behavior is very punishing for linear amplifiers, because with reactive loads you can have a cross-over voltage potential of zero volts and still, at the same time, experience a current flow of 5Amperes. 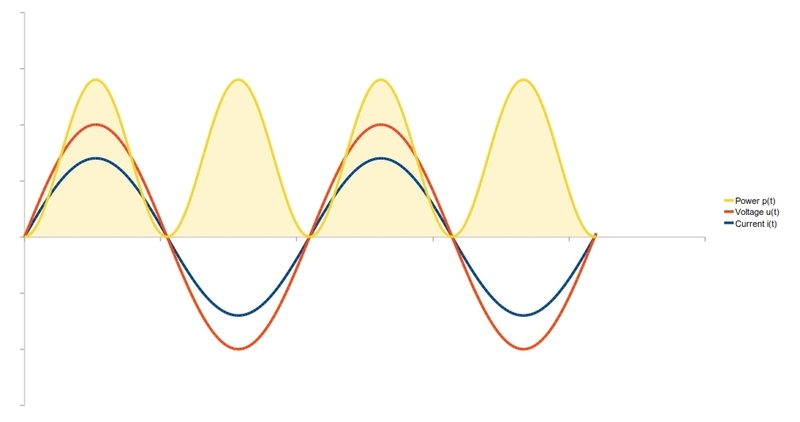 The difference in the phase relationship between voltage and current makes the dissipation within linear amplifiers quite high, as high as 2X – 3X higher that it would be the case of purely resistive loads. But in the case of Class-D, there is no such problem, because there is an output inductor present in the current path between the switching devices and the load. The inductor acts as a power converter and supplies the load with the full reactive current that is needed. Any back EMF that is induced or any freewheeling current from the inductor + the reactive load sum up and are pumped back into the power rails, through the reverse diode commutation cycle of the switches. Hence, the class-D amplifier works as both a power converter, but also as a reactive power recycler. Any reactive power which remains unused is recycled back into the supply rails and the efficiency of the Class D amplifier gets boosted even more. This unique attribute of a Class-D amplifier takes it way ahead in quality and efficiency of any linear amplifier classes, especially when it comes to reactive load handling. No matter how difficult the speaker load is, the Class-D amplifier will push the reactive current back and forth without any sweat. But watch out for poor quality passive speaker crossovers, as they have a habit of exploding, especially the capacitors, as the Class-D can happily deliver to them ample amounts of reactive current drive, with no effort, in cases where the linear amplifier normally “struggles”. 3. 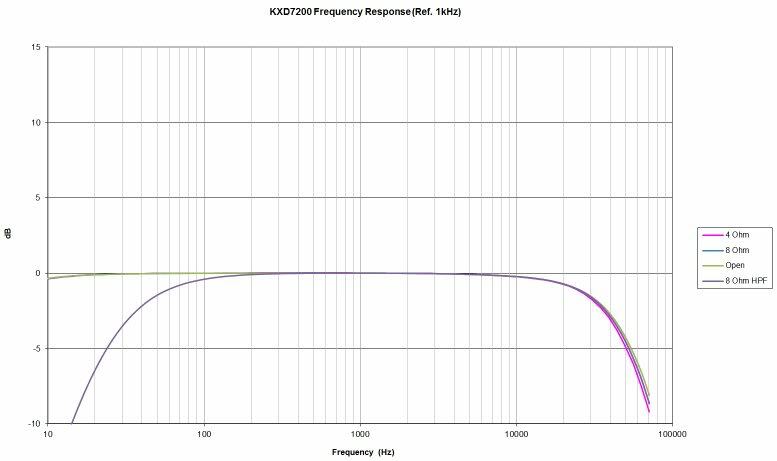 Superior IMD rejection Class-D amplifiers typically work at radio frequencies, typically around 400 – 600 khz. This pushes the Inter-Modulation Distortion (IMD) spectrum to higher frequency domains. Any IMD component, which appears at the carrier frequency range, will show Fourier byproduct components as [Carrirer + Audio] or [Carrier - Audio] frequencies, which will in any case be located much higher than the audible human hearing spectrum, hence shall remain not audible and will be easily filtered out by the demodulation filter. This inherent advantage makes Class-D amplifiers highly immune to IMD in general.